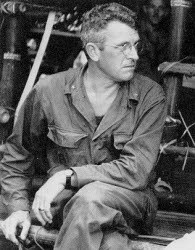 The Pacific War Online Encyclopedia: Merrill, Frank D.
Table of Contents Next: Merritt, Lewie G.
Cropped by author. Click for full image. Frank Merrill was born in Massachusetts and enlisted in the Army in 1922, serving in Panama before being appointed to West Point (graduating in 1929 as a cavalryman.) He was assigned to the Tokyo embassy as a language officer in 1938 and had spent some time as an observer with the Japanese Army. He was an intelligence officer on MacArthur's staff when war broke out. On a mission to Rangoon at the time, he remained in Burma and served with Stilwell during the first Burma campaign. Promoted to colonel in early 1943, Merrill was given command of the 5307 Provisional Regiment, better known to history as Merrill's Marauders. He was promoted to brigadier general shortly thereafter and led the Marauders into combat in northern Burma in February 1944. However, Merrill suffered from heart trouble and only led his regiment for part of the campaign. In August 1944 he was transferred to non-combat liaison duty. By April 1945 Merrill was well enough to serve as chief of staff of 10 Army under Buckner. When Buckner was killed in action on 22 June 1945, Merrill took over command and was in this post when the war ended. 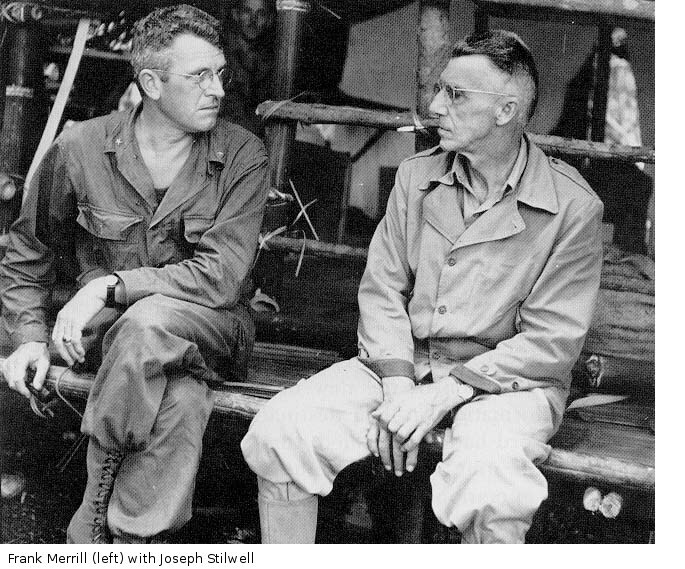 Postwar, Merrill served as chief of staff of 6 Army and as an adviser to the Philippines. He retired in July 1948. Merrill was described as "a very bright fellow with a fine New England sense of humor and great dedication to whatever he was about" (Cowdrey 1994).